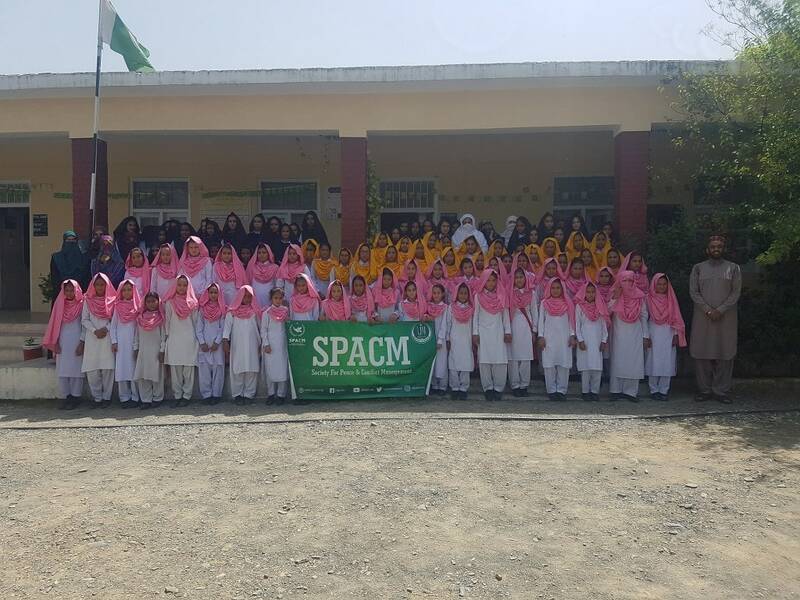 In order to spread its message of peace, love, acceptance, tolerance, respect and social and religious harmony, awareness on child abuse, patriotism etc SPACM – Society for Peace and Conflict Management organized a one day seminar in Government Girls Middle School Rehana, Haripur on August 29, 2018. Students from various classes of the school attended the seminar. Chairman SPACM Dr. Abdul Muhaimin along with students from various departments of the University gave a Power Point Presentation on the significance of peace building, peaceful co-existence, social and religious harmony, tolerance, mutual respect and acceptance. The seminar was organized in collaboration with the district government.